Here’s looking at you, Meotherm. Photo by Teresa Genaro. 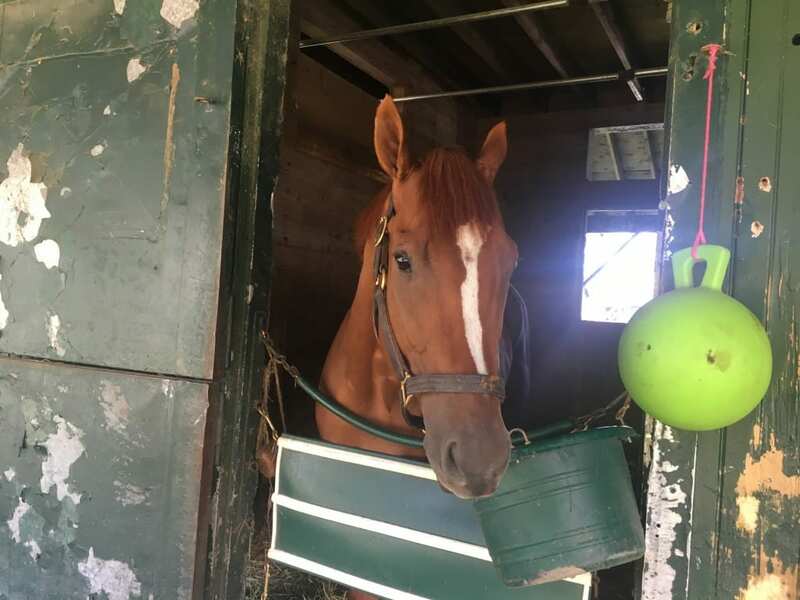 Winning the first race at Saratoga Race Course on August 17 was something that trainer Lacey Gaudet had been waiting for, but she wasn’t even there to see it happen. 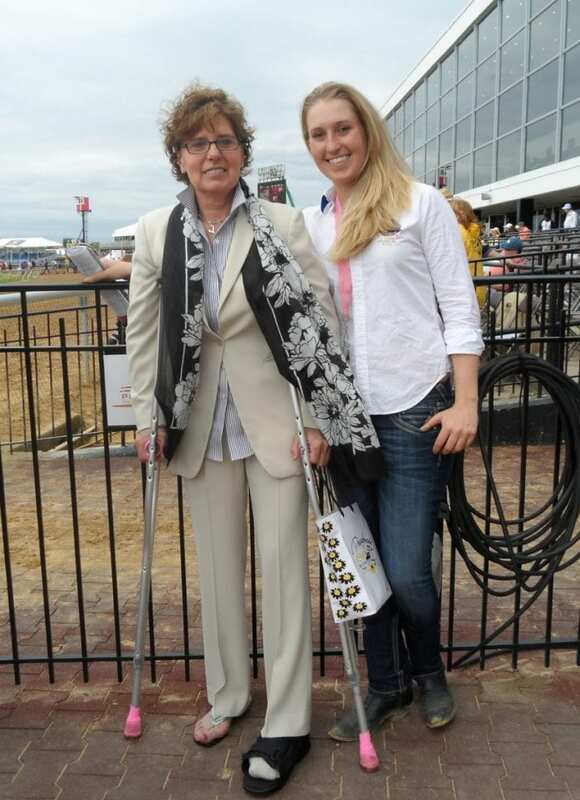 As they were last summer, Gaudet and her mother Linda, also a trainer, were a Saratoga-Laurel tag team this year, with Linda spending most of her summer in upstate New York while Lacey kept the barn going at Laurel. So it was Linda who got to saddle Mesotherm when he finally got into a race, and Linda who represented the family in the winner’s circle in what was Lacey’s first Spa win as a trainer. This has been a 2018 of memory markers for the Gaudet family, not all of them happy. On January 4, Linda’s husband Eddie died after suffering for years from Alzheimer’s disease; when he was no longer able to train horses, Linda and Lacey took over, in addition to caring for the horses at their farm and taking care of Eddie. In 2017, Lacey had been determined bring horses to Saratoga; Linda wasn’t quite so convinced. “Last year, she said, ‘We can do this,’” recalled Linda. “I said, ‘We can’t do this.’ She had all the responsibility in Maryland: she took care of Eddie, she did everything at home, she took care of the horses on the farm and 30 horses at the racetrack. And they did it. Lacey got her first Saratoga placing when Pret Say Eye finished third two years ago, a result she was happy with, especially because that first group at the Spa weren’t what the family considered “Saratoga horses.” They brought better stock this year, but luck went against them. A promising two-year-old filly bucked her shins, and though Mesotherm was entered several times as an MTO, he never got in. 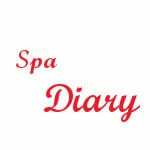 Until August 17. Mesotherm was an unlikely Saratoga runner. Now five, he was a maiden until April of this year, and he’s been in the barn of several trainers. Matthew Schera, who regularly gives horses to Lacey, paid $400,000 for the chestnut colt, now a gelding, by Trappe Shot out of the Arch mare Mayhavebeentheone at the 2014 Fasig-Tipton Saratoga sale of selected yearlings. She advised Schera to give the horse one more shot, and if it didn’t work out, to stop trying to get him to the races. She took over his training, she worked him a couple of times, and she was frank with his owner. “I said, ‘Matt, I don’t really see it,’” she recounted. “I saw what other people had seen in him,” she said. Lacey Gaudet (right) with mother Linda in 2013. Photo by Teresa Genaro. A five-year-old first-time starter, he was third in his first race, running at Laurel, getting trapped down inside. “The whole world knew he should have won,” said Linda. Favored again at the Spa, Mesotherm and Irad Ortiz Jr. tracked the pace in the 5 1/2-furlong starter allowance, passed the pacesetter running three-wide on the turn, and pulled away to win by two lengths. In four starts, Mesotherm has a record of 2-1-1. Linda watched the race alone, as is her wont. In winning at Saratoga, Lacey did something her father, who won 1,735 races in a 52-year career and earned $23.5 million purses, had never done. It was her father’s birthday on the day we spoke about the race. “Don’t even go there,” her mother warned, choking up as she thought about her late husband and her daughter’s Saratoga win. He is of course always on their minds, and will be perhaps even more so in the coming weeks, when Lacey’s sister Gabby, a racing analyst and handicapper on a number of stations, gets married in a couple of weeks. And so, of course, do the three Gaudet women, formidable forces all of them, continuing to make their own memories in the sport that they love. As if that were ever in doubt.